HUB387, in cooperation with BH Futures Foundation, invites you to our new Diaspora Talks: Industry Work Integrated Learning - Disrupting Traditional Education! Education is broken! A, B, C, D, F and 1 to 10. These five letters, and ten numbers have ruined education for millions of students worldwide. Over 12 years of public schooling and 4 or 5 years of university education, we’re meant to find out what we’re truly passionate about and how to make contributions to society! Instead, during these years our culture has driven us to spend this time developing an obsession with grades, the ability to memorise and regurgitate information, and the realization that achievement is more important than understanding. All of this, only to be told that we are not work ready. Only to find job adverts which seek experience despite the fact we are fresh graduates. Education has to be rethought in the modern context. Employment readiness and employability must be at the top of the agenda for academic institutions in order to bridge the gap between theory and practice. Moreover, it must take priority to ensure that higher education produces graduates who can translate knowledge into value for industry at a much quicker rate. While there are hundreds of initiatives world-wide attempting to resolve this, none have shown as much promise as the concept of Work Integrated Learning (WIL). In this presentation, Edhem Čustović will outline the design and deployment of the innovative 6 month, full semester academic credit-bearing WIL program at La Trobe University, Australia which has resulted in highest employment rate of engineers in the last 50 years from the same institution. Join us for this presentation to find out how we have deployed this program and to discuss how it can be incorporated in Bosnia & Herzegovina. Edhem ‘Eddie’ Čustović is an experienced engineer, problem solver and solutions architect. He is a business owner, entrepreneur, thought leader, mentor, philanthropist and global citizen. 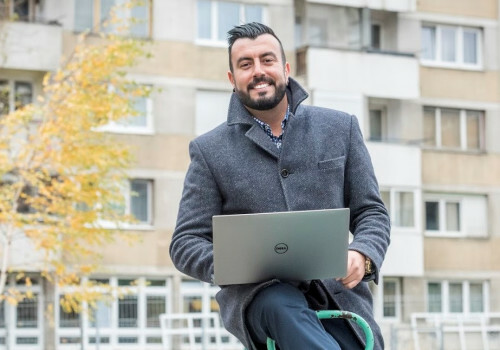 Čustović is highly driven with exemplary leadership capabilities that have enabled him to become one of the youngest members to hold senior leadership and board roles within the IEEE, the world’s largest professional organisation. Čustović has a passion for innovation, design thinking and entrepreneurship that have culminated into a deep commitment to making positive change for the world. For Čustović, the intersection between scientific innovation and human empowerment is where we can really “disrupt the future”. His motivation is to use the powers of engineering, education, global networks, entrepreneurial mindset and the spirit of positive change to empower individuals and grow local economies while delivering the scientific advancements of our finest minds for the benefit of future generations. His multicultural background, multilingualism and 'borderless' approach to work have enabled him to take a politically and culturally sensitive perspective on life, volunteer roles, and professional career. Čustović is currently an academic, industry project manager and coordinator of Work Integrated Learning in the School of Engineering and Mathematical Sciences, La Trobe University. He is the founder and director of the La Trobe Innovation & Entrepreneurship Foundry (LIEF), the first truly interdisciplinary innovation think tank at the same institution. He is also a proud member of the Institute of Electrical and Electronic Engineers (IEEE) where he has served on several global IEEE boards; inc. Publication Services & Products, Industry Advisory Engagement, Innovation, Entrepreneurship and Young Professionals. Čustović’s considers his biggest achievement the founding the Bosnia & Herzegovina Futures Foundation that serves as a vehicle of change and empowers youth through education, technology and leadership development. He is an active contributor to Online & Print Media globally, TV & Radio on topics of engineering, technology, innovation, entrepreneurship, youth employment and education. Participation in the event is free, but registration is mandatory.